Get your FREE Domain now! Why are you giving away free domain names? Simple. 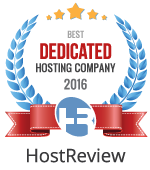 We believe that if you choose GlowHost as your web hosting provider, you will be so happy with the features and service that we provide, that you will have no reason to switch to another provider for your hosting and domain name needs. We actually purchase and renew your domain name, free for the life of the web site. Learn more about free domain names. Privately registered domain names are for those who wish to keep ownership of their domain name private from the public eye. Did you know when you register a domain name and do not use private domain name registration services, that your full contact details are publicly available to anyone who wants them? This can include your home address, email address and personal phone number among other things. Protect your privacy online by purchasing a private domain name registration for a small annual fee through GlowHost. Just add a domain in your shopping cart or order form and we will ask you if you want a private registration before you check out. Private domains are simple, inexpensive, and definitely worth the price. Order Hosting and Register Your Domain Now!